There are several types of plants that can cause trouble in Michigan. The Michigan DNR says species that are not native and also have the potential to harm human health or to harm natural, agricultural or silvicultural resources can be listed as prohibited or restricted by the State of Michigan. If a species is prohibited or restricted, it is unlawful to possess, introduce, import, sell or offer that species for sale as a live organism, except under certain circumstances. 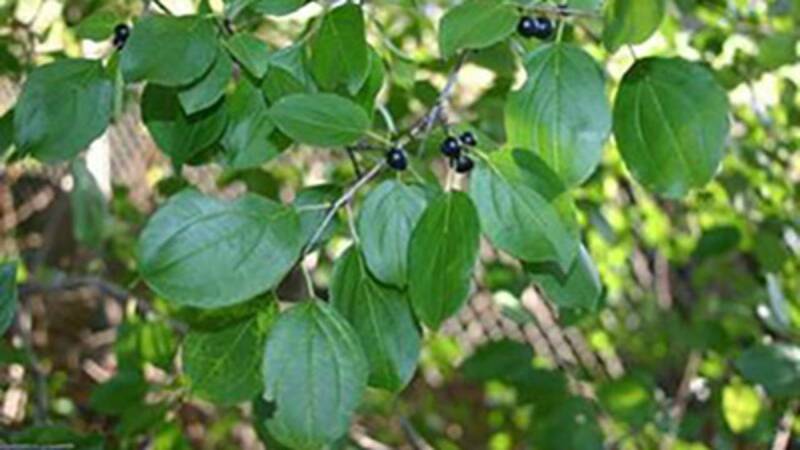 Habitat: Common buckthorn can be found in disturbed and undisturbed areas including roadsides, pastures, old fields and woodlots. U. S. Distribution: East Coast and Midwest, also in limited areas of California and Oregon. 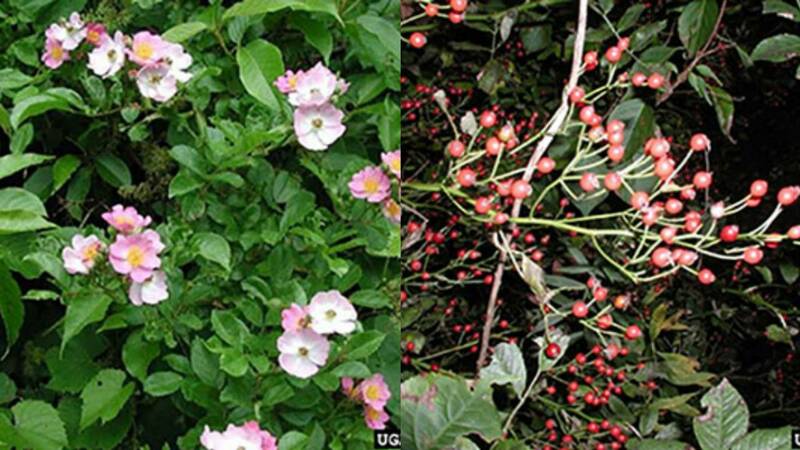 Local Concern: This invasive plant spreads quickly through seeds distributed by birds and wildlife and crowds out native shrubs and understory plants. It is a host for alfalfa mosaic virus and crown fungus, and may be a possible host for the soybean aphid. 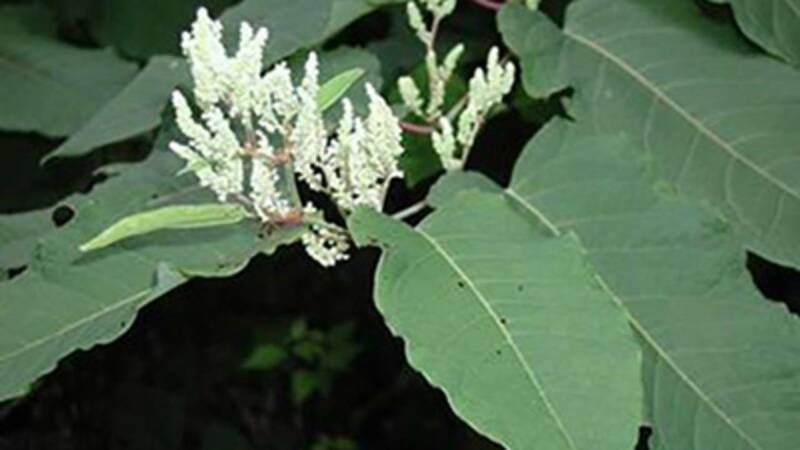 Habitat: Giant knotweed can be found in moist soils in sunny areas along roadsides, disturbed fields or vacant lots and along streams or river banks. Local Concern: Giant knotweed spreads aggressively by roots (rhizomes) and cut or broken stems. It can form dense thickets along streambanks, actually increasing erosion potential and decreasing habitat value. 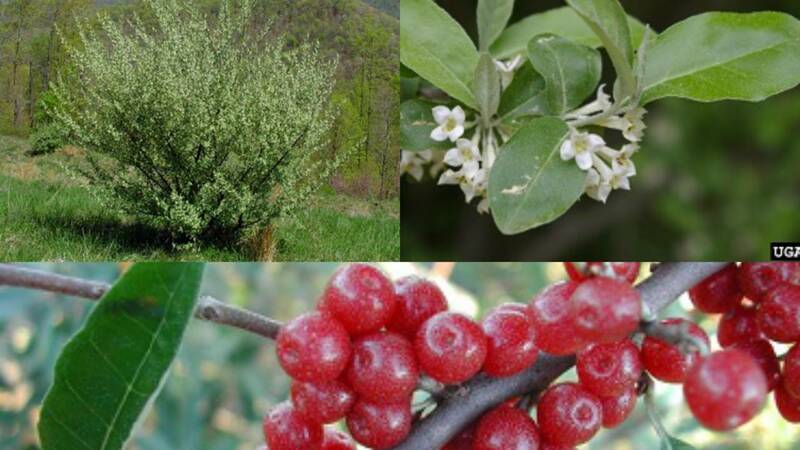 Habitat: Autumn olive is moderately shade tolerant and occurs on a variety of soil types. It spreads rapidly in old fields and is also found in open woods, along forest edges, roadsides, sand dunes, and other disturbed areas. It poses a particular threat to prairies, savannas and open woods. U.S. Distribution: Autumn olive is widespread throughout Michigan and the Eastern United States. Smaller populations exist in Washington and Oregon. 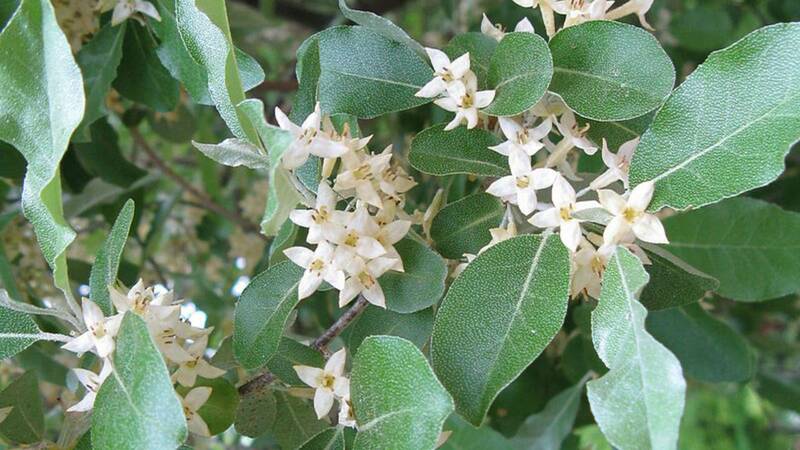 Local Concern: Historically planted for wildlife food and habitat, autumn olive has been found to be highly aggressive, with seeds widely dispersed by birds and mammals. Autumn olive can shade out desirable native plants and fixes nitrogen in the soil, which can degrade native plant communities that thrive on low-nutrient soils. It is difficult to control, as cut stumps and roots will resprout. Habitat: Once recommended for erosion control and livestock “living fences,” this fast-spreading shrub now inhabits pastures, old fields, roadsides, forests, streambanks and wetlands. Multiflora rose tolerates a broad range of soils and moisture conditions and can thrive in sun or shade. U.S. Distribution: Eastern half of the United States as well as Oregon and Washington. Local Concern: Multiflora rose spreads aggressively, both by rooting canes (ends of branches) and by seed dispersed by birds and wildlife. Dense thickets of this shrub crowd out beneficial shrubs and plants and may deter native birds from nesting. Habitat: Japanese barberry tolerates a wide range of soils and moisture conditions and can thrive in sun or shade. It is often found in forests, pastures and old fields and along woodland edges, roadsides and disturbed areas. U.S. Distribution: Introduced throughout the northeast and Midwest United States, south to Georgia and also in Washington. Local Concern: Japanese barberry is a common ornamental plant that can easily escape cultivation. Its seeds are dispersed by birds and wildlife. Plants are not browsed by livestock or wildlife due to thorns, giving it a competitive advantage over native plants. Shrubs form dense stands that displace native species. 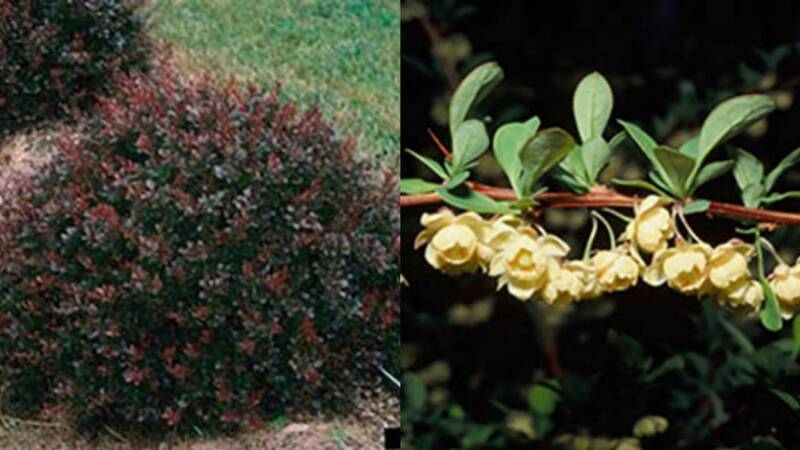 Japanese barberry can raise pH levels in soil. For the full list on invasive plants, click here. Non-Watch List species should be reported using the Midwest Invasive Species Information Network (MISIN) online reporting tool or the MISIN smartphone app. Alternately, these species can be reported to the Cooperative Invasive Species Management Area for your region or your local conservation district.